The open-source support vector machine (SVM)-based algorithm predicted the chemotherapy drug that provided the best outcome with greater than 80% accuracy, according to a study by the researchers that was based on RNA analysis data from 152 patient records downloaded from the database of The Cancer Genome Atlas. The study, Machine learning predicts individual cancer patient responses to therapeutic drugs with high accuracy, was published yesterday in Scientific Reports. Researchers were able to predict the response of individual patients treated with either gemcitabine or 5-fluorouracil (5-FU) with >81% accuracy. The response of individual ovarian cancer patients to eight drugs often used in the treatment of ovarian cancer—carboplatin, cisplatin, paclitaxel, docetaxel, gemcitabine, doxorubicin, gefitinib, and topotecan—was predicted with an overall accuracy of 82.6% and a positive predictive value (PPV) of 85%, based on microarray gene expression profiles of each patient’s tumor. “The high PPV of our algorithms across multiple drugs suggests a potential clinical utility of our approach to identify promising second-line treatments for patients failing standard-of-care first-line therapies,” the authors concluded. The accuracy range reported by the research team mirrors the greater than 80% accuracy shown by the open access SVM-based algorithms in predicting the collective response of 273 ovarian cancer patients to seven commonly-prescribed chemotherapeutic drugs in a study published last year in PLoS ONE. The researchers said their system's accuracy could further improve with inclusion of additional patient records, along with information such as family history and demographics. In developing the system, researchers obtained records of RNA from tumors, along with the outcome of treatment with specific drugs. The investigators first used data from 114 records to “train” or develop the system, then used the remaining 38 records to test the system's ability to predict which chemotherapy drugs would have been the most likely to be useful in shrinking tumors, based on the RNA sequence. Of the 152 patients, 92 had been treated with gemcitabine, the other 60 with 5-FU. 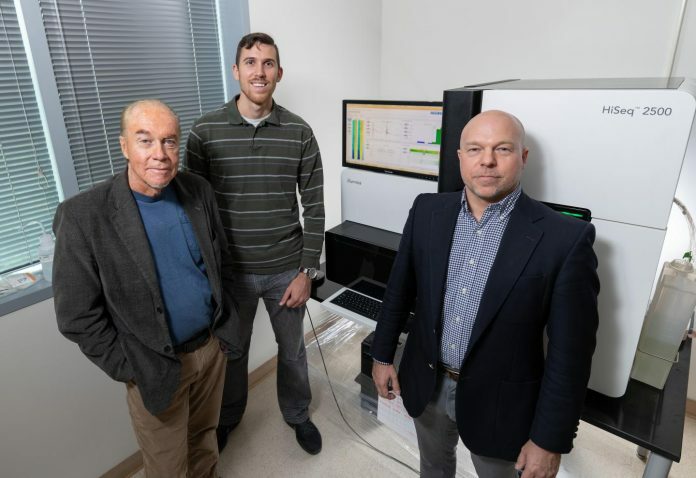 Research began with ovarian cancer, then was expanded to include data from other cancers that use the same chemotherapy drugs, and for which the RNA data was available—namely lung, breast, liver and pancreatic cancers. The system produces a chart comparing the likelihood that each drug will have an effect on a patient's specific cancer. If the system were to be used in a clinical setting, Dr. McDonald said, doctors would likely use the predictions along with other critical patient information. The system is being made available through Github as open source software, allowing experts across multiple fields to review the software, identify faults, and recommend improvements, added Fredrik Vannberg, D.Phil., an assistant professor in the Georgia Tech School of Biological Sciences. In addition to Drs. Vannberg and McDonald, the research team included Lilya Matyunina, Ph.D., DeEtte McDonald, Ph.D., and Ph.D. students Evan Clayton and Cai Huang, all of the Georgia Tech School of Biological Sciences; and Benedict Benigno, M.D., of the Georgia Tech Integrated Cancer Research Center and the Ovarian Cancer Institute.